I saw a hammer handle that had been repaired by using what appeared to be number 5 or 51/2 lawn mower starter rope wrapped around the shank. Since the original handle was wooden the manner of attachment was small nails and glue. No doubt it gripped well. I stripped the handle using an Old Hickory Butcher's knife while tapping it with a 4 lb. sledge. It looks like what I expected. I left the handle material flush with the steel ridges. I'm not sure if it would be better to leave like that or to use a small chisel to remove it? There is some warp to it. Here's what it looks like. Well that looks like it needs more than something to wrap it in, it needs an actual handle. They actually have replacement wood and fiberglass handles. Before I stripped the hammer handle down to the steel - I whittled down the burnt area. It was useful at that point and it didn't feel bad holding it. But... my curiosity wanted to see how it was built. I also wanted to show you all what it looks like in this thread. I already knew the steel was warped. I haven't always been disabled, and I was strong enough to damage it back then - probably still now. I grew up knowing that time is money. It meant that you used a tool to it's fullest extent and sometimes, push it. I did. Seeing the steal twisted on the end was a surprise - although I did use that hammer a lot with my thumb, pointer finger, and middle finger. I'm thinking that is what caused the twisted steel at the end. I used the new hammer that way today. I bet the hammer company would send you a new handle maybe. Last edited by AlittleSalt; April 7, 2018 at 01:11 AM. When I first saw the title of the thread I thought you had laid the law down around the place. Salt, I have a somewhat easy fix for the hammer. Go to the store and find a smaller handle replacement, one that feels a little small in your hand. You're gonna cut the handle in half and epoxy it to the hammer tang then install brass pins. Lay it beside your old hammer and mark the length how you want it to lay on the tang. Build a jig to hold the handle so you can cut it down the middle on a table saw or a bandsaw would work best with a thinner cut. I would drill holes in the handle part you're not gonna use to screw it to the jig to hold it steady while you cut it in half. Lay the handle on the hammer tang and mark the tang for 2 holes to be drilled to install brass pins. You should be able to find 3/16" brass stock if not then find 2 brass bolts long enough to cut off the threads. Lay each handle half in the tang where you want it mounted, clamp it down and drill those handle holes 1/64" smaller so the brass pins fit snug. Repeat for the other half of the handle. You should be able to find a 2 part epoxy in hardware stores, use that to glue the handle to the tang. Test fit it a few times to make sure you can get the pins aligned easy before the epoxy dries. Let it cure and cut the pins to length and clean off any excess epoxy. Fill in the gaps with more epoxy, you might need to do one side at a time to let it set so it doesn't run out. It should be a fun little project, it seems like a lot but it will go fast. Watch this video for installing a handle on a knife and you'll understand exactly what I'm trying to explain. 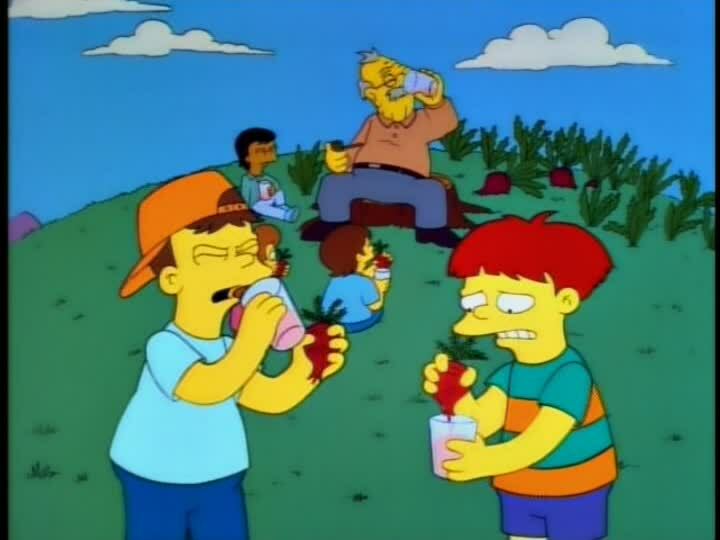 Make the grand kids put up a road side stand and sell turnip juice till they make enough money to buy a replacement hammer. I bought a replacement hammer the day after we found the burnt/melted one. I used the new hammer the other day, and when I asked my grandson to hand it to me - he said, "Remember the song says Can't Touch This." He handed me the hammer. Today, I was using the old burnt handled one to dig briars out of a flower bed. It works even better than I thought it would. I used the head as a hand grip and it was easy pushing the shaft into the sandy loam to get to the briar root ball that was against a tree root. It's two tools in one now. I think I'll leave it that way.